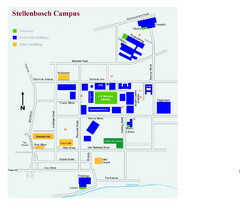 Visitor's map of Stellenbosch Campus including all buildings and roads color-coded. Map of Stellenbosch showing routes to take to tour the wineries. 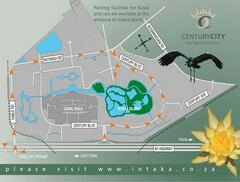 5 wine routes identified. 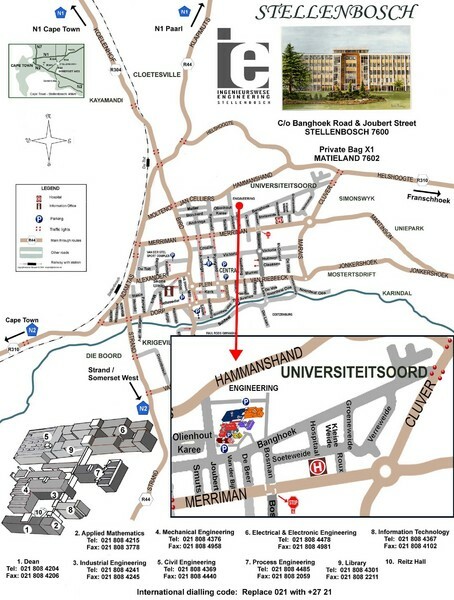 Shows major streets and points of interest for eating, wine, and brandy.